Today’s verse is of particular interest to me. I live and breathe this subject at work every day. And I love it! The Lord Jesus Christ is the Creator. The One who breathed the universe into existence is the same One who loved me by both creating me and laying down His life to save me from the just penalty I earned because of my hatred and rebellion against Him. God is redeeming a people by His Son, for His Son, to His own glory. 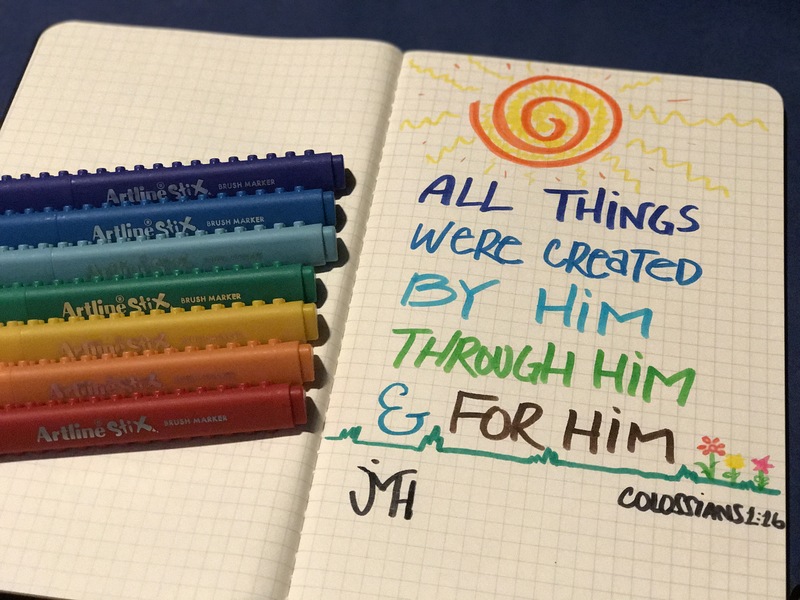 Everything in all creation is by, about, and for Him. “…that One who was ‘before all things’ became also ‘the firstborn from the dead.’ Only the Creator could redeem His lost creation, cursed and dying because of sin, by Himself taking the Curse and dying for sin. God, however, cannot die (in the sense of ceasing to exist), for He is Life itself. His mortal body could sleep in the grave, and His holy Spirit suffer the anguish of hell, but it was inevitable that He must conquer sin and death. The omnipotent Creator cannot possibly fail in His purpose in creation. In all things, He must have the preeminence, for it is only by Him that things exist at all!